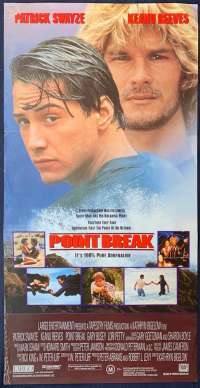 Very Rare Original USA Lobby Card No. 3. 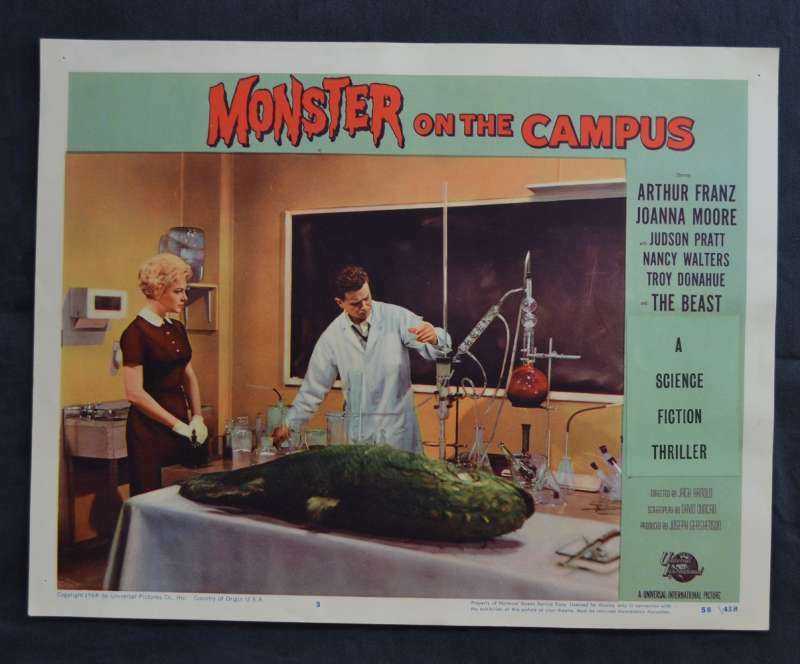 Monster on the Campus (Monster in the Night and Stranger on the Campus) is a 1958 American science fiction/horror film, released by Universal-International. 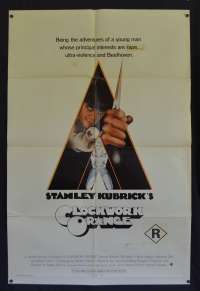 It was directed by Jack Arnold, from a script by David Duncan. It was theatrically released in 1958 on a double bill with the British ‘Blood of the Vampire’. 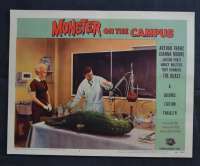 The films tells the story of a university science professor who accidentally comes into contact with the irradiated blood of a coelacanth, which causes him to "regress" to being a caveman. 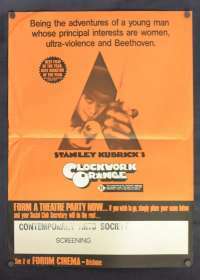 Director Jack Arnold said in an interview in 1975 that the movie was shot in only 12 days. The film was the last of Universal's science fiction monster films released in the 1950’s and now enjoys a huge cult following. Pin Holes: One small pin hole in each corner.